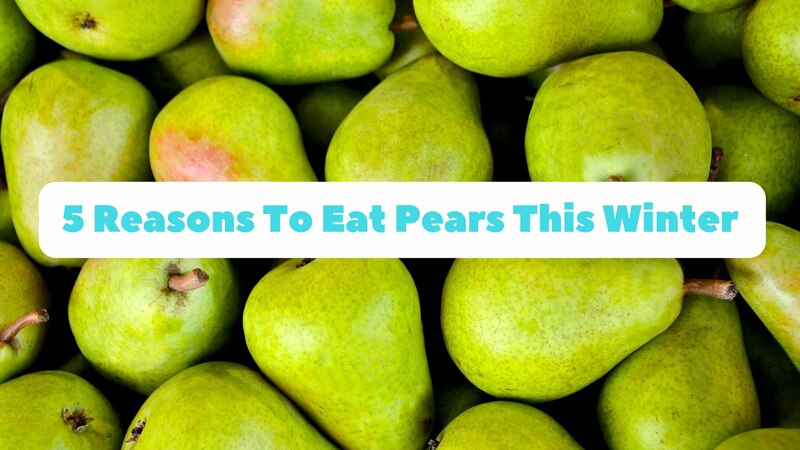 Happy Guts – Pears are the go-to fruit to keep your digestive system healthy1. Pears contain a unique combination of nutrients that help maintain normal bowel function and promote good gut health1. A happy gut helps you feel great, and allows the body to absorb nutrients from food and build your immunity1. Weight Win – Pears are a great snack if you are looking to lean down or trying to keep those winter kilos at bay1. They have a low energy density, which means they provide fewer kilojoules per bite1. They also contain both soluble and insoluble fibre, which helps to keep you feeling full for longer1. Winning! Fibre Fix – A pear a day may be all it takes to help nail your daily fibre targets1. Pears are one of the highest fibre fruits with a medium pear containing 4.1g of fibre – that’s more than five prunes (3.1g fibre) 1. In fact eating a pear a day could bridge the shortfall between the fibre intakes of Australian women (21 grams a day) and the recommended daily intake (25 grams a day) 1. Breathe Easy – For more than 2000 years, traditional Chinese medicine has used pears to help clear the lungs1. Modern science is just beginning to catch up with emerging research showing that eating pears may help to ease symptoms of allergy-related diseases like asthma and hayfever, as well as other respiratory conditions1. Skin & All – Whether chomping, blending or cooking pears, keep the skin on to get all the goodness1. The skin of pears is full of polyphenols, which provide loads of health benefits related to managing and reducing the risk of diabetes, heart health and obesity1. Campaign Content: This article is part of a campaign I am proudly working on with Australian Pears.